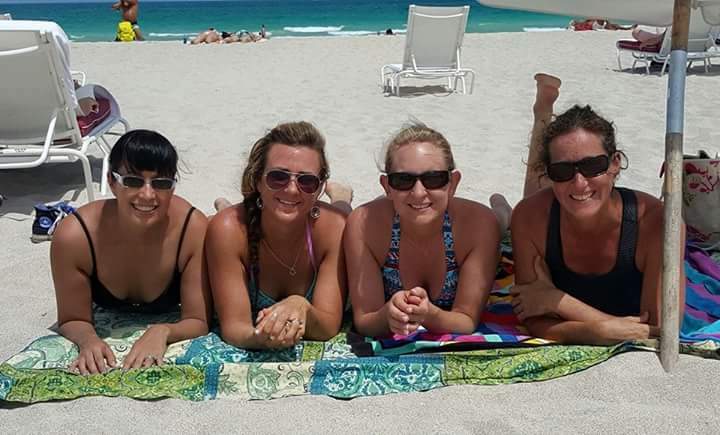 This past weekend, Venus members from around the world met up in fabulous South Beach in Miami, Florida, on the beach. We enjoy each other so much in the community that we knew we would have a blast in real life! We put a heads up in the forum about 2 months ago, and I could hardly wait until it was time to go! As crazy as it sounds, we make some pretty tight bonds in the Venus forum. We are from all over the world and completely different walks of life, but driving change puts us on a similar path. We all struggle and we all have to find our own way, but our tight knit community makes a difference. The forum is our life line and there is always someone there with a lending hand or a sympathetic ear. The people that help us find our way become part of our story and meeting in person only makes those bonds stronger. Not everyone could make it of course, but we shared pictures and stories that included them and we hope to see them down the road. Many of us email, call, and text one another- making bonds deeper than just diet and fitness. We can lean on each other for family, relationship, work, and emotional issues. We KNOW each other, so getting together in person is easy. We just click like we have always been “real life” friends. Our time together was special. What I enjoyed the most was getting to see everyone’s facial expressions, having eye contact, and hearing vocal tone and laughter. The hugs were pretty great too! 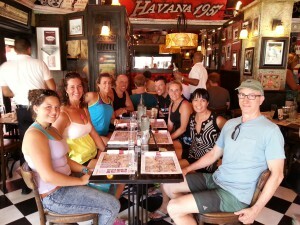 We shared some great conversations and enjoyed fabulous food and drinks. 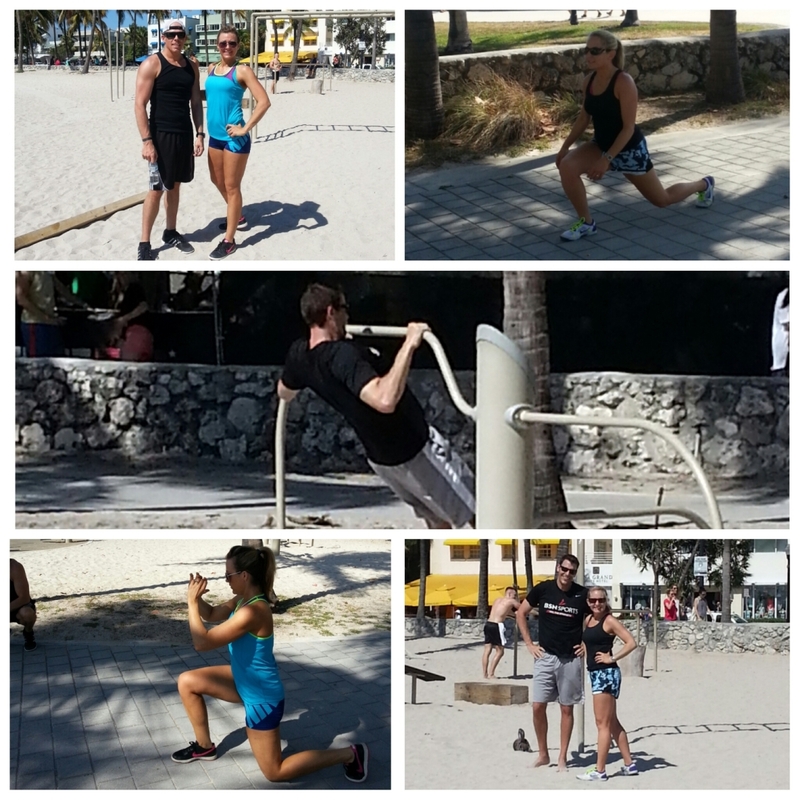 We fit in a few workouts and spent time relaxing by the ocean. 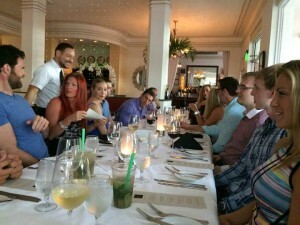 Some days we all went our own ways in smaller groups, but we always met up for dinner. It was a whirlwind, but so worth it to get to have a little time IN PERSON with friends and co-workers. Next year cannot come fast enough! Speaking of next year, we are looking at April or August 2016. We are also looking at hosting the meet up in Barbados or California. Which would you prefer? Is the Set Point Theory true? What the set point theory suggests is that a person’s body, metabolism and caloric drive strive to maintain a specific preset weight. This means if your preset weight is high and you lose weight, your body will just try always try to gain it back. What is concept of a set point theory? How does it fit in with your fat loss process and maintaining your shape? Do you have to accept the fact that your body needs to be at a certain weight? Are you doomed to stay at a certain weight? What is the set point theory based on? Denise is in her 60’s so there is no excuse. She’s learned to change her life so that she can keep her shape. It’s February so the extra crowds in the gym might be slowing down a little now. Any time is a good time to start your fitness goals, but the new year is a common time to start. Some people show up in January hoping it will all be done in February, but it just does not work that way does it? The problem with this mentality is that it is not life changing. Real change requires you to change your habits for life. You can’t just fix everything in one month and go back to the way you were living your life that got you overweight and out of shape in the first place. The most important thing is that you are making a LONG TERM lifestyle change. If you are going to make this step, it’s going to take a shift in the way you live your life. The first month is the toughest, then it’s all about changing habits that eventually just become the way you live your life. Over time it doesn’t take much thought, you just do what you need to do. It becomes part of who you are. Why is exercise is important? It’s not just good for you, it’s a structure – like a steering wheel – it creates a mind-frame for changing your body. It makes the day have something going for it, and gives you incentive to keep up with everything including good food choices. The habits of good diet and exercise each feed on each other, it has a snowballs effect when you do both, and your progress accelerates and your life changes. DIET (two diets): Diet from food and diet from fitness media (limit your reading of fitness media). Be patient because it won’t happen as fast as you want it to, but patience is what will finally bring you the results. Today John and Brad talk about the Venus philosophy of weight loss and how to change your shape for life. Naomi is one of the first Venus Transformation Contest winners. She learned to deal with the environmental influences during and after her transformation. Today, several years later, she still maintains the golden lifestyle. People around you have a lot of influence in what you do. Where you are is very important. Who you are with is very important. Are you at the gym? Are you with people who encourage or discourage positive workout behavior? Interaction with others to fit in with the group will affect your decisions. Persecution regarding food is not about you. They are projecting their issues and insecurities on you. The very fact that you are thinking about what you eat and consume is threatening to some people. Don’t let your best friends issue with her mother dictate to you what to eat. Negative comments are always really people making comments about themselves and their issues, not YOU. The guy or gal on Facebook who says “Too much muscle!” or “Too skinny!” or whatever, it is really not about you. “The correction” or corrective phase is what most will be commenting on. This is the phase that requires serious effort – and is only necessary for the weight loss. The extreme corrective action is not forever. It is not sustainable or you would go down to zero percent body fat. At some point it must stop, because it’s corrective action. Maintaining is less extreme than the “correction”. When you maintain you only need very short temporary corrective action for minor fat gains and reigning in eating habits back to a maintenance level. Everyone has their issues. It comes through in their writing. There is bias. There are very few experts. They explain to you their perspective as if everyone was like them. 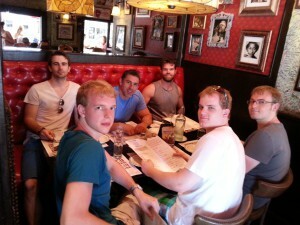 So it’s not just friends, family, and people around you, it’s also the fitness writers online. Even the researchers; they have a hope or bias that the outcome or answer will turn a certain way. They are trying to convince you that their issues are your issues. All of your relationships will change as you gain success and reach your goals. People will need to adjust to the new transformed person you have become. Some people are able to adjust, and some are not. You will have to make decisions and evaluate all of your relationships. You will be affected by jealousy and others who want your success. This is what happens with any success. The more success you have, the more your relationships all around you will change. So the bottom line is that who you spend time with in your life as well as online will all affect your success. They will also affect how well you keep your success. To hear more about what John and Brad have to say about environmental influences listen to today’s uncensored podcast click on the link below. Need To Lose Weight? Don’t Panic. The Venus Factor has a team of people ready to help you. We have a lot of new people coming in and we are very excited to help you achieve your goals. For some the process seems a bit overwhelming and with it there comes a sense of panic. Everyone comes from different backgrounds; some have never lifted weights, some have never realized what a calorie deficit is, some have a history of yo-yo dieting, and the list goes on. If you feel a panic over it coming on, take a deep breath, then another. The process does not happen quickly. There is time. There is never any reason to panic over diet and fitness. None of it happens overnight. Health problems or wanting it fixed instantly promote an emotional sense of urgency, but it will not happen instantly no matter how much you want it to. So just relax, let your body adjust to a new lifestyle slowly, and take it one step at a time. You don’t have to understand everything to get started, sometimes it’s a matter of picking one thing. The end result is lots of stress and lots of thinking, but little to no-weight loss. So you need to find your ONE thing. When I put this all together I realize my ONE thing is to remember to eat like a grown-up – to realize that I have complete control over when and what I eat, and when and what I don’t eat. So it is my responsibility to eat like a grown-up. No one is going to do it for me. Sounds simple, probably too simple, but that’s the point. You really need to boil down your ONE thing until you get to your true ONE thing. If I remember to ‘eat like a grown-up’ on the days I’m not fasting, then I’ve completed my ONE thing. The more days I accomplish this, the closer I will move to my goal. If I complete my ONE thing, then I’m on track. If I do a dozen other things, but NOT my ONE thing, then even though I did much more work, I probably did not move any closer to my goal. This sounds simple, but it takes some introspection to really figure out your ONE thing. And simply saying ‘lose weight’ doesn’t cut it, you have to boil it down to the core. The same goes with saying ‘eat less’ or even ‘exercise more’ it needs to be more meaningful to you. When you get some free time today give it a try – Pick your goal, then start boiling it down until you come to your ONE thing that you can use to guide your daily activities. So if you are new to the process you might need to pick one thing and then totally own it before you pick the next thing. That is always the best way to change your lifestyle and habits. Gradually. Never so much that it’s just too much and not sustainable. Be ready to change and pick daily rituals to help you stay on track. Sometimes I like to put stickers or use colored pens and pencils on a wall calendar so I can see the long streaks of success. I like bright pens and stickers with sparkles. It’s normal to not be perfect every day, we are all merely human after all. What matters is long streaks of consistency day in and day out. There is nothing really dramatic about the process, it’s just small decisions every day while you live your life. The rate of change for you, both building muscle and losing fat, will be your own rate. Never compare the rate of change for yourself to the rate that occurs for others. 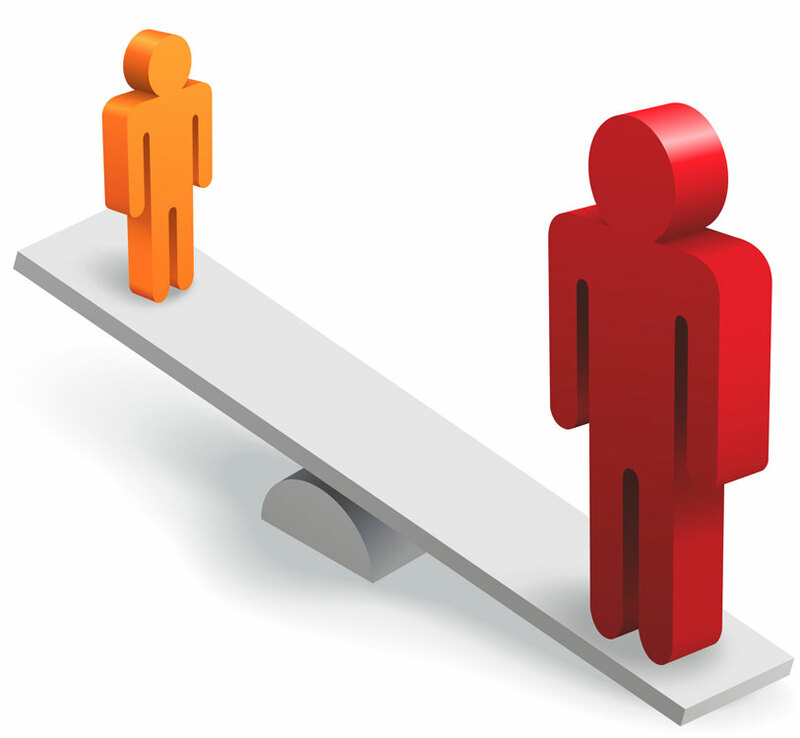 There are far too many factors and differences between each of us to make many comparisons. If someone lost a lot of body weight in one or two weeks, that has absolutely no bearing on your own success. The body weight scale is only good for a trend over time. It does not tell you how much water or glycogen is stored or released. Even Brad learned in his recent 7 week experiment that body weight fluctuations can be quite random and mysterious. About the only thing we all have in common is we need to have a calorie deficit to lose fat, and we need to lift heavy things to build muscle. Brad lost body weight on daily measurements for no apparent reason and also gained weight for no apparent reason. Not only is the sudden random increase in body weight due to water retention fairly meaningless, but so are some of the sudden “whooshes” as we like to call them. We jump for joy when we get a whoosh and then beat ourselves up when we have a random gain. Do not let the body weight scale define your happiness. Instead find joy in a successful streak of consistency or other non scale victories. Rejoice in the trend over time, and the successful lifestyle changes. There is a delay in seeing results. Always a delay. There is no instant gratification in this process. It takes patience and persistence. I give myself three weeks for change. Sometimes it happens sooner but I find allowing that delay and focusing on the process keeps me on track. I don’t use the body weight scale anymore and I find the process still works if you look at the scale or not. For me a delay seems to happen even if I have a few days of holiday eating (eating a bit more than my maintenance level). I’ve seen it happen this way several times this year. A week or two after “eating up” and I feel thicker and my pants feel just a bit tighter, even though I’ve started the process immediately after the holiday. So then I give myself three more weeks and keep my focus on the process. If I’m consistent the results come just as I expected. No matter what creates results for someone else remember that your own body is the end game. What matters is what works for you. What matters is what you eat that makes you feel and perform your best and achieve your own results. What matters is the amount you eat that causes you to lose fat consistently. Calorie calculators, charts, books, theories, and what others do don’t matter because your own body is the end game. Take the time to experiment and find what works for you. Try the estimate the calculator gives you, then adjust. Try method’s and entertain theories, then adjust. What you eat matters more than you might think. Everyone has different needs and enjoys different foods. We all have some foods that don’t make us feel good. You have to find what foods are best for you and that sometimes takes some experimenting. If you are an immersion customer take advantage of listening to the uncensored podcasts and John’s coaching calls. We have some exciting podcasts coming up. John and Brad are constantly researching new material as it’s released. In next week’s podcast they will talk about how different foods may help some people lose weight and feel better. When it comes to food, diet, and exercise what works for you changes over time, with the seasons of your life. I finally realized recently when I was meeting with John, Brad Howard, and a few of the Venus girls in Boise, Idaho (yeah it was freezing there!) that I no longer metabolize wine very well. Some of you who are in the Venus online community may have read what Carla and Liss wrote about our little meetup in the community blogs. I was the last one to arrive at the meeting and missed dinner. My experiment with desserts and a glass of wine as a dinner replacement didn’t go so well. Experiments help you learn what works for you. Two out of the three nights when I drank wine, even one glass, I was awake half the night. I don’t know about you but when I only get 4 hours of sleep my hunger the next day is through the roof. For me the stress is so bad that maintaining any sort of calorie deficit is nearly impossible, in fact eating just slightly above maintenance is considered a win. I used to be able to drink wine. Now I can’t. Possibly because my body is not used to it anymore. Your body changes over time, and long term lifestyle changes might cause changes you hadn’t thought of. So if you are new around here remember your body is the end game, not the chart, calculator, book, theory, what someone tells you to do, or what works for someone else. Take a deep breath and take time to learn. Ask questions and get support. Pick one thing. We have a team of people who want to help you achieve your goals. Caroline and Tori are fitness competitors who both got in amazing shape and hit their Venus ratio’s. Both had 23-24% body fat in their legs yet 5-7% in their upper body. The main thing here is everyone, depending on their genetics and heredity, will compartmentalize fat differently on their body. You can’t compare yourself to others. What is so important about body fat percentage? Hydrostatic body fat percentage is the gold standard. It is the method which every other method is calibrated on. 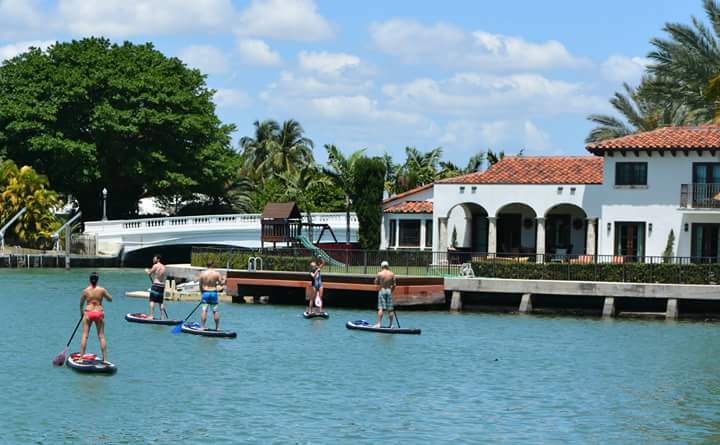 There are no assumptions; they use just the properties of your body in the water. What is so important about of your body fat percentage? It’s a number. It reminds Brad of eating for calories when you need to lose weight when really you just need to eat the right amount of food to lose weight. People like to go to an online calculator and find out they are supposed to eat 2712 calories a day as an example, then they don’t lose weight and they think their metabolism is broken. The calculator just gave them the wrong estimate for their body. People forget that the body is the end game, not the calculator, chart, book, theory, or what someone else did to lose weight. The total over all body fat percentage does not tell you a whole lot unless you reach a dramatically low percentage that it is irrelevant. It’s just like how your overall body weight on the scale doesn’t tell you a whole lot either. DEXA/DXA is the most accurate and is the key for a health standpoint because it tells you regional fat percentages. Brad and John have a lot of data to look at and today they focused on two female fitness competitors who were both approximately 15% body fat which is very low for females. This is dramatically low for a woman. One of them had 6.9% in her trunk (her upper body from the waist up). The other one had below 5% in her trunk (she had a full set of shredded abs and her back was totally visible). Tori and Caroline are fitness competitors that places first and third in their respective categories so they were both in amazing shape. Neither of them looked awkward, they both looked totally feminine. Both had 23 and 24 percent body fat in their legs. See the difference between the upper and lower body? The main thing here is everyone depending on their genetics and heredity will compartmentalize fat differently on their body. So another female could have 20% in her legs, but maybe 11% in her upper body, and roughly the same overall body fat percentage as Tory and Caroline and look totally different. If she tries to compare herself to these fitness competitors (or anyone else for that matter) at the same overall body fat it totally falls apart. Everyone stores body fat in different patterns. These storage patterns are genetic and you cannot manipulate them. There are some schools of thought that you can manipulate them with diet but there is no data or measurements that prove this theory. The theories are purely anecdotal and guess work. Setting a goal as a percentage body fat can mess you up. It is a form of goal hijacking. If you get down to your golden ratio and then would need to go a lot leaner to get the ab definition it could change your overall aesthetic to not be as visually appealing. Also total body fat percentage is totally dependent on how much muscle mass is there. Body fat is relative to your lean body mass. So if you increase your lean body mass without losing any fat your overall body fat % drops. Body weight and body fat percentage is only useful if you have a “shape” to go with it or a measurable goal like Venus or Adonis Ideal or Ratio. What is your goal? To get to a certain size? A certain weight? For some of us it was to simply leave our obesity behind, become healthy and functional, have the ability to walk or hike with loved ones, and enjoy a better quality of life and not necessarily become a bikini model. When I first joined the Venus Factor my goal was to get down to a size 8 which was the smallest size I’d ever been as an adult. The goal setting in the Venus Factor program enabled me to exceed that by several sizes. In fact I had no idea how lean I got until I had a hydrostatic body fat test which showed I’d gotten down to 10.5% overall body fat (I am 5’1″ and I was 116 pounds). It was good that I had the test at that time because it helped me to understand that I needed to increase my food intake and give up trying for the Venus Ideal waist. I didn’t realize that I was an outlier yet. I had no idea what I had achieved. I was trying to get down to my Venus Ideal waist and didn’t realize that at 10.5% overall body fat there was no where left to go, nothing else left to lose. On the right I was at 11.5% at the time of my DXA scan. With unusually high LBM for my height getting to my Venus Ideal waist is not a realistic goal for me, and that is okay, I get to work with the genetic hand I’m dealt. 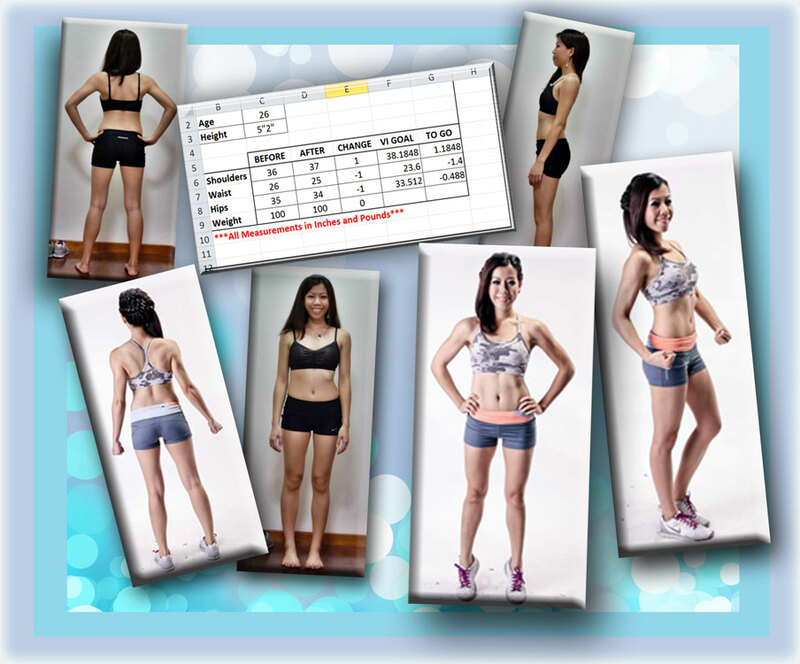 I’d gotten down to probably slightly below 10% overall body fat for my Venus Transformation VT4 photos (at 109 pounds.) This was the only time ever that I got to my Venus Ideal waist, for a mere moment in time. A year later I had a DXA scan which showed that I’d gone up to 11.5% overall body fat with 105 pounds of lean body mass. My Android fat was 5% (.4 pounds) and my Gynoid was 16.8%, so like Tori and Caroline my legs were significantly higher compared to my upper body. As John said this is typical for females. 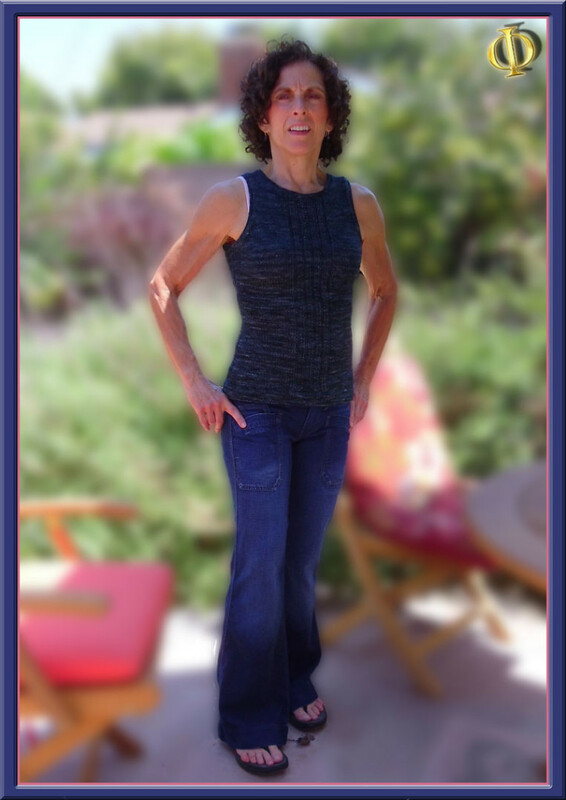 I was 51.5 years old at the time of the DXA (over a year ago) and because of my age I might have lower estrogen levels. My hormone panel shows normal levels but I’m clearly in the season of my life where estrogen levels start waning. This may make it more possible to gain muscle and get to a lower body fat for females later in life. 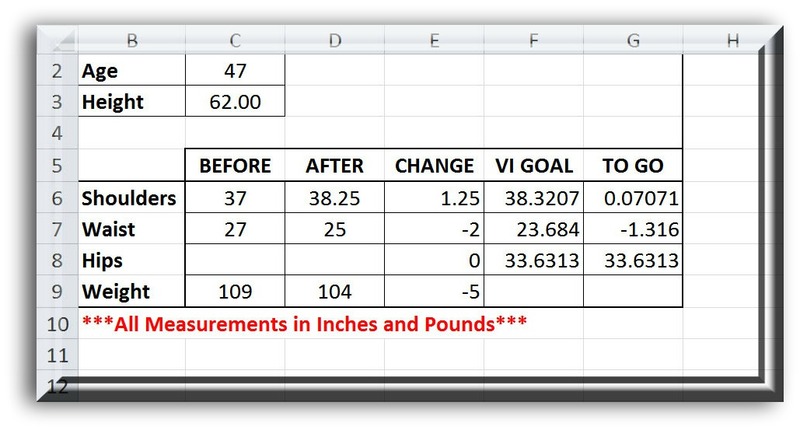 I was very proud of the fact that DXA showed my Visceral Adipose Tissue (VAT) at .06 pounds! From a health standpoint this is really good, although it’s probably not necessary to be that low. How do body fat tests help you learn to maintain fitness? I’ve lived my life for several years now floating 12-13% overall body fat and sometimes up to possibly 14-15% (just a guess). The body fat tests were good for giving me a health marker and a rough idea about where I’m at depending on how my clothes fit. My body fat level is unique to me. It doesn’t make me better or worse than anyone else and shouldn’t be used as a comparison. It doesn’t mean anything to me but a health marker and a bench mark that goes with my pictures and my look and shape at that level. That said, I’m learning to feel good about myself even when I don’t live my life at that 10% benchmark and can move up a little in body fat and not be too hard on myself. By listening to podcasts like this today I learn more about my body. This helped me to feel good about what I’ve achieved. I am still maturing in my fitness life and will continue to constantly learn. Listening to Leigh Peele podcasts are also helping me learn about my body and my fitness level as I mature in this process. What happens when you get close to your Venus Ideal goal? If you are following the Venus Factor System you will find that you will learn more once you get closer to your goal. The goal setting in this program is a perfect place to start and will allow you to achieve exactly what you want and most likely exceed your expectations for yourself. Some ladies get very close to the ideal and say this is close enough, they’ve achieved what they wanted, now they just want to enjoy life and keep what they’ve achieved. And they go on to do exactly that. It is great. It fits their lifestyle and they move on. Others will reach the Venus Ideal at a much higher body fat than I did, and that is perfect. I kind of envy women with that genetic hand. Sometimes if they try to go lower in body fat to get “ripped abs” or whatever it won’t look as good because they go beyond the Venus Ideal. The Venus Ideal is based on what the human eye finds the most pleasing, and that is why the formula is used in art. Other women will find they build muscle fairly easily because of their genetics and so will also likely reach a lower body fat level if they keep going with the fat loss. Denise and I are in this category. We live our day to day life with our waist circumference slightly above the Venus Ideal (or like me several inches above) and it’s just as good as those who get to live exactly at the ideal with more body fat. Neither is better or worse, it just is what it is. It is just as well and okay for women who find living slightly above the ideal ratio at a higher yet still quite healthy body fat level. After all it’s about being healthy, functional, having a better quality of life, and enjoying more time with your loved ones. What matters is what makes YOU happy and healthy. Once again, you, your body, and your life are the end game; not the system, program, workout, diet protocol, theory, ideal metrics, book, chart, calculator, or what someone else says or does. You get to decide what makes you happy and all these tools can help you get to that point. It really all depends on the genetic hand you are dealt. You won’t know what you have until you lose enough fat. The best way to lose significant fat is to divide and conquer while also weight training to the best of your ability. The Venus Factor workouts are the best I’ve found for my build and have enabled me to reach my genetic potential in a way that at least my husband and friends around me say is still pleasing to the eye and still feminine yet strong. What will you do to achieve your best genetic potential that fits your life? I would love to hear about it. What about Genetic Differences in Performance? 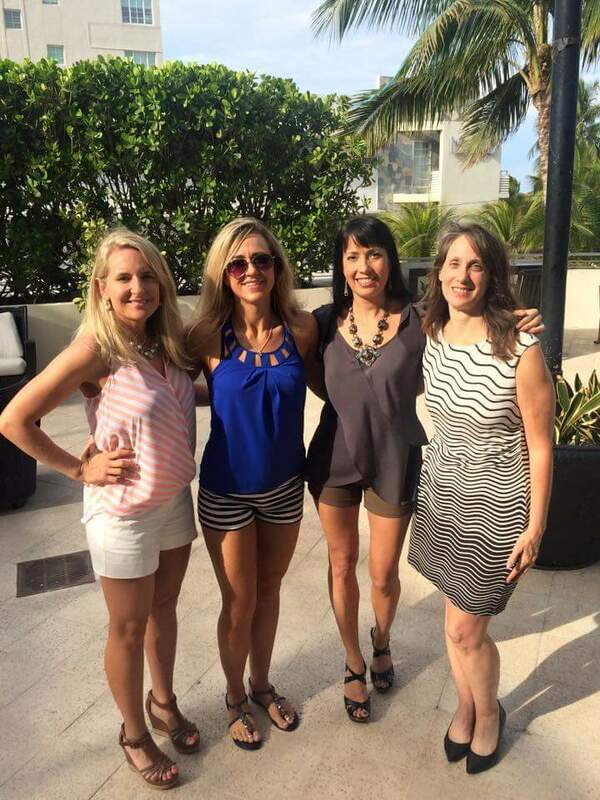 These are some of the very first Venus Transformation contest winners ever. They trusted John and Brad back in the day. They each have their own unique genetics and nothing stopped them from becoming their best. You can achieve your best regardless of your genetics. These are some of the very first Venus Transformation contest winners ever. They trusted John and Brad back in the day. They each have their own unique genetics and nothing stopped them from becoming their best. John Barban and Brad Pilon learned from the trials and errors of these girls struggles to lose fat and build their best shape. 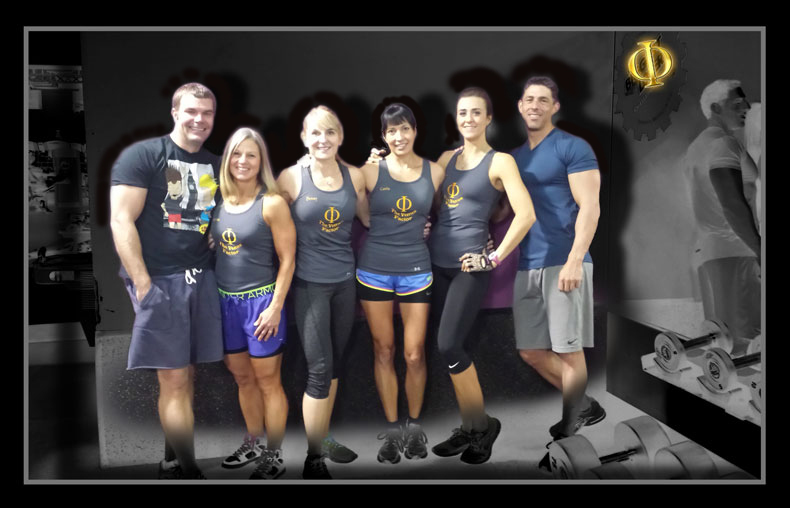 The experiences and data collected on these first contest winners, along with those of us in the subsequent transformation contests and other research enabled John to develop a new diet protocol called the “The 12 week Undulating Metabolic Override Program”. 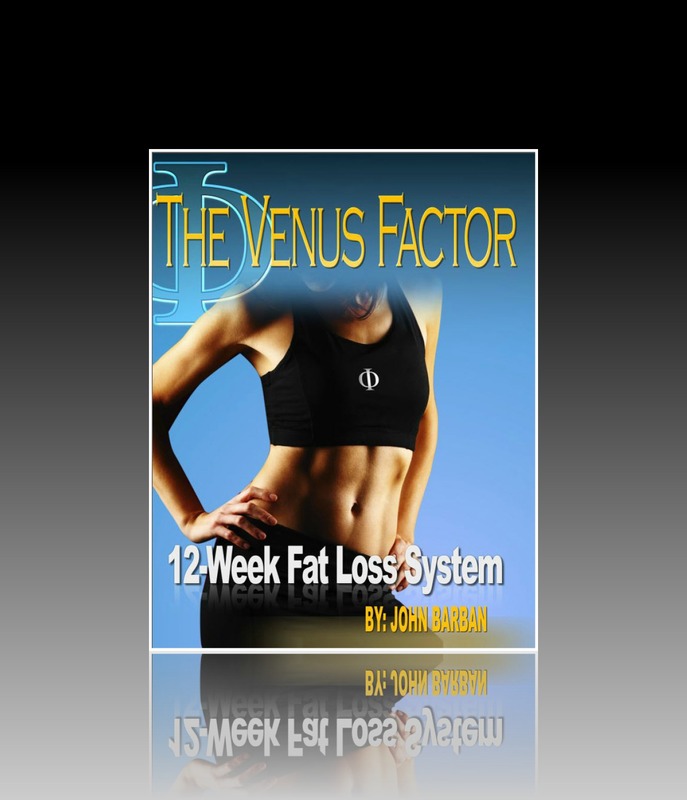 The protocol included in the Venus Factor 12-week Fat Loss System is designed to help prevent “crashing” and allow your body some recovery from a calorie deficit, teach your body to become efficient at utilizing protein for muscle repair and recovery, and to teach your body to become more efficient at burning carbohydrates. The secret to the Venus Factor is the magic of the support community along with hormone research and the experiences of those who succeeded and sustained their fitness level. There is research to show genetic differences effect performance. We constantly compare ourselves with others in the gym and watching sports events. We can’t help doing that, but you should at least try and compare yourself to someone of very similar genetics. Genetics play a huge role in success; it plays a bigger role than anyone ever wanted to admit. It doesn’t mean you are not a good person or equally of value as a human if you don’t have specific genetic gifts. It doesn’t seem fair. No matter how hard you practice you won’t be the same as someone who is truly gifted. Life is not fair. If everything was equal the person who did the best hardest work wins. This is not what happens. Genetics plays the bigger role. But at the same time genetics should not be a reason to not work hard to be your best. It is not an excuse to not work hard to achieve your best. As far as performances compare yourself to your own performance; improve yourself. Knowing about genetics is great way to understand what other people have achieved. John and Brad go into great detail into how genetics affect various sports. It does not always mean if you train harder you will get the same results as someone else. It does not mean you should give up training. Everyone is capable of change. Don’t base any of your metrics on performance. All that matters is your own results. How you respond to exercise and diet is unique to you. You can try things that others do, but it does not mean it will work for you. Also what works for you will change over time. You will have to experiment to find what works for you. John gives a long explanation about how genetics affect certain sports – I almost spit out my coffee on my screen! Oh my gosh I never knew! When John described specifically what on the body makes a good runner I almost spit my coffee out all over my screen. Why? Because I’ve spent over 30 years trying to be good runner and I am completely the opposite of what makes a good runner. The good news is that it does not really matter. I always concentrated on merely improving my own PR (Personal Record). Once after my dear husband Randy was my “support team” for a 50 mile race he said it was funny to see me during various parts of the race. I didn’t look like anyone else there, I was short and stocky, with thick limbs, totally the opposite of what John describes in the podcast, even for what makes a good runner in the hot climate. It was so crazy to learn this today. It makes me realize that I’ve always done well with running in spite of having the completely wrong genetics for good performance. Even when I was slightly over weight I typically placed in most races in the top 1/3. There were even a few times when I placed in the top three for my age group, and twice in my life I placed first overall (in smaller races). I love running and I still do. So having the completely wrong genetics didn’t stop me from achieving my best and enjoying a sport that I love. Once I did the Venus workout system for awhile I found that it improved my running performance. Earlier this year, at age 52, I completed my best PR for the half marathon and a then two months later I got a first place for my age group the Komen Rock The Race Sacramento 2013 5k. I still very much enjoy the sport of running. Brad talks for a moment about the nature vs. nurture controversy. Not by choice but I have had a chance to see a bit about what can happen a lot with nature vs. nurture in my own life. I have an identical twin and we are both nearly 53 years old now. I mentioned a bit about my upbringing and showed a picture of my twin and I when we were little girls in “Ten Thousand Ways that Won’t Work“. My twin and I have not lived together since we were eleven years old. We have taken two very different paths in life. Since we have identical genetics we can both look at each other and it’s like looking in the mirror and seeing what could have been if we each made different lifestyle choices. It gives us each a very unique perspective. 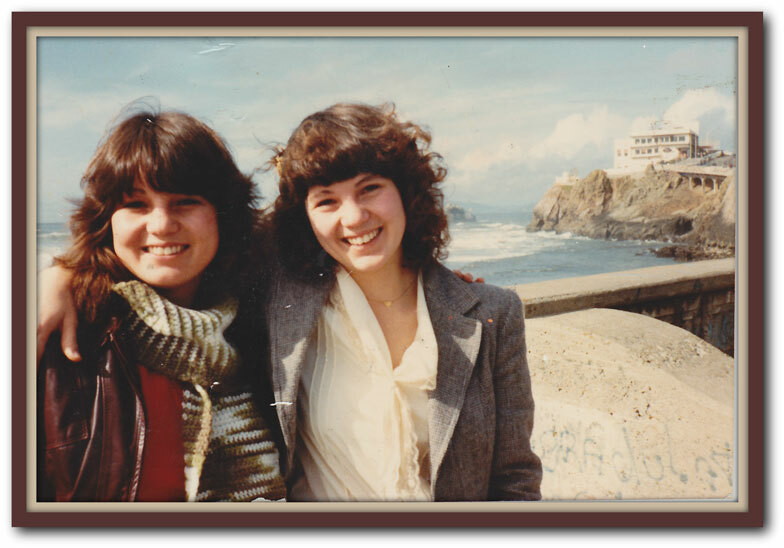 My identical twin and I were 21 years old in this picture. 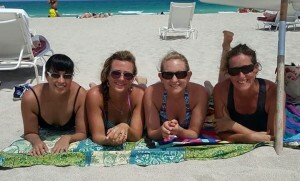 Only about 50% of my friends are able to guess which is me. You can change your shape. You can achieve your dream. You can affect many things that you have control over. You can build muscle. You can lose fat. You do not have to accept where you are. You do not have to accept being over weight or obesity, regardless of your age or the amount of body fat you have at the moment. At some point you may have to accept certain genetic limitations, but you will never know until you try. There are no athletes in my family. There was no example for me to see what I could achieve for myself. I always suspected I might have some athletic ability. There were a couple of times when I was young when I came close, but no where near what I achieved after finding the Venus Factor at age 50. It wasn’t until I strove for the Venus Ideal and learned the truth about my nutritional needs that I far surpassed what I ever dreamed possible for myself. At almost 53 years old I believe I have now reached my genetic potential. Now I’m working just to stay healthy, functional, have a good quality of life (as much as in my control), and to keep a shape that I feel good about in my every day life. I am enjoying the Venus lifestyle very much and I have maintained my level of fitness for several years now. I’m still pretty darn happy about that. Aima Wouldn’t Trade The Venus Lifestyle For Anything! Today we are honored to show Aima’s pictures. She placed seventh in the Eighth Venus Index Transformation Contest. I’ve never been happier with my body now and the way I feel inside and out because I can feel the transformation even though it may not be as visible to other people. This is my second time joining a contest. It has since been close to a year now since my Venus journey began. To be completely honest I had a spotty gap of workouts between December to January and in April. But aside from that I was working out pretty regularly. The main things I did differently this time around was going regularly to the gym instead of working out at home and eating a ‘cleaner’ diet. That meant I could challenge myself with heavier weights (compared to the limited collection of weights I had at home). I also prepped most of my meals at home so I had more control of what I was eating instead of the regular take outs on busy days when I couldn’t be bothered to cook. Motivation and support have also played an important part in my journey. My gym partner is my boyfriend (who also does Adonis). We constantly motivate and keep each other in check. Outside of the Venus community there are certainly a lot of people who think I don’t need to care much about what I eat or work out so much because I’m ‘skinny enough’. Or I should just eat a lot more (as in ANYTHING) because I’m ‘too skinny’. I’ve still a long way to go on this journey but it is definitely a lifestyle I wouldn’t trade for anything. John didn’t get a chance to interview Aima, but I hope you enjoyed her pictures and her essay because I can tell she worked really hard and is happy with her transformation both inside and out. Personally I think Aima is a super cute young lady and I love seeing younger girls learn to lift weights and become fit. It is a lifestyle that will serve her well if she keeps it up. We wish you the best Aima and we are very happy you found us. We loved your pictures and we can see you worked very hard. Congratulations! Great job and keep up the good work! Having Trouble Getting Motivated or Started On Your Fitness Routine? Here’s How To Get Going. The contest winners didn’t have all the answers. They still don’t. They took steps moving forward and kept going, and they are still moving forward today. Having trouble getting motivated or started on your fitness routine? Whether you are just getting started, or getting back into your routine after a break, it’s hard to get started. You can read online all day long about all the ways people did it successfully and it seems overwhelming. Sometimes it’s a case of fear of failure or just a case of analysis paralysis. Some days it is a heroic act just to refuse the paralysis of fear and straighten up and step into another day. The goal is to just fit it in. Do something. Walk, pushups, chair squats. Anything is better than nothing. A little something is forward motion. Does not have to be complicated. John and Brad give you some ideas for getting started in today’s podcast. Today we are honored to listen to Lourdes Cota who placed thrid in the Eighth Venus Index Transformation Contest. Lourdes got the fitness level she always wanted at age 47. Lourdes before and after the contest. 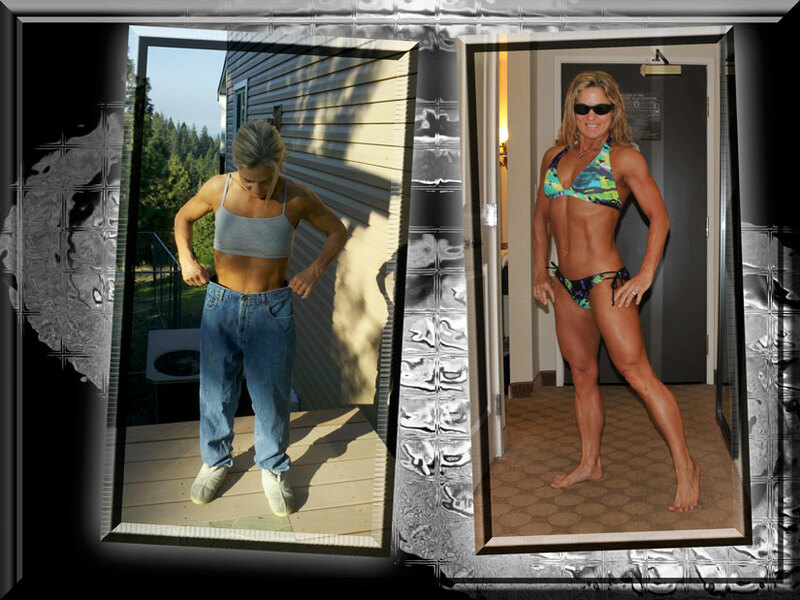 Changing your body composition at age 47 is no trivial task, especially for a female. Lourdes health issues motivated her to get fit. And she did a phenomenal job! 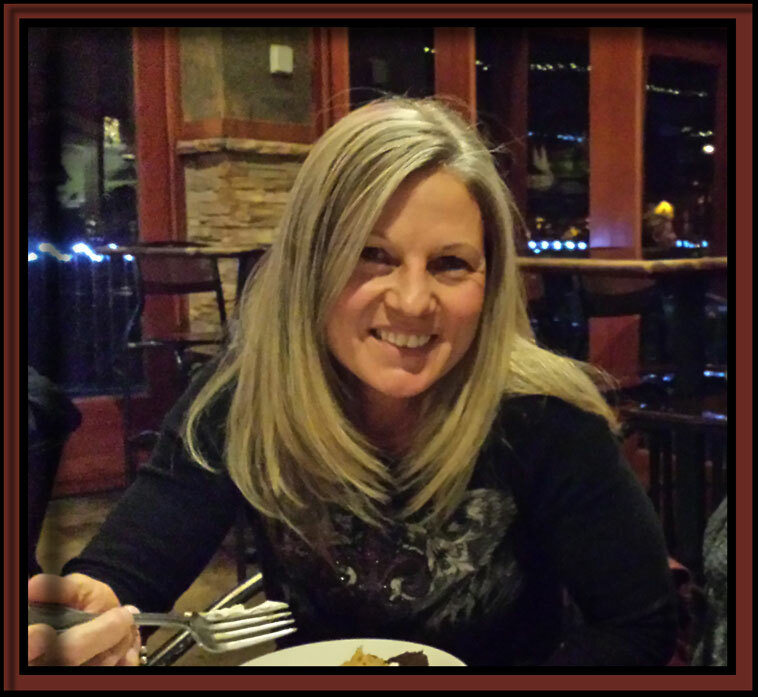 A little about me, I am a 47 year old, single mother, with two wonderful kids. I work a full time job as a Quality control engineer and try to take life one day at a time. I started working out 4 years ago, but had a scary incident occur when I passed out during one of my workouts. Opening my eyes and having strangers standing around me, with no understanding as to what had just happened was extremely frightening. Upon visiting my doctor, I was told that I had Bradycardia, or in layman’s terms, a slow heartbeat. To combat the Bradycardia, I had to have surgery where a doctor surgically implanted a pacemaker under my skin, on the left side of my chest, just below the collarbone. As you can imagine, having to have a pacemaker implanted in your body, connected to your heart, makes you think about life, your future, your health, your children and my list of concerns went on and on. Not to mention, the visible scar is a constant reminder. All of this was very overwhelming and I became very cautious in everything I did. Armed with a basic understanding of the fundamentals of wellness and their value in living a long life, I always ate high quality nutritious foods, as such I was relatively thin. But, also knowing my cardiovascular system needed attention, especially now, I tried to push my fears aside and began exercising again. To be honest, some days, just getting in to the car was a challenge, as I was fearful that I would have a repeat of the day I passed out. For many years I went to the gym, only going through the motions, lifting the same (way too light) amount of weight, doing the same (non-challenging) exercises, the same (boring) cardio, all in the same order, day in and day out. UGH!!!!! Upon meeting my boyfriend James Tonda, (who introduced me to the Venus Index) he observed my angst about the many things I listed previously. After learning of my condition, he explained to me that Bradycardia is not considered dangerous and that quite often athletes have Bradycardia just from working out as hard as they do. He explained that the heart, much like the rest of our body can adapt to exercise stress and a fit persons heart doesn’t have to work as hard as say someone who is out of shape or not as fit, thus creating a lower pulse. To say I felt like a huge weight was lifted off of me is an understatement. Finally, I was seeing a beacon of light that all of my panic was unwarranted and I could safely start living my life again! Upon getting back to the gym, after the many years of redundant, non-challenging workouts, I expressed my frustration that my body just doesn’t seem to respond to exercise, even though I went to the gym regularly. Well, interestingly enough, I was given the same example by James about the body’s ability to adapt to stress and since I had performed the same exercise regimen over and over with no increase or change in intensity, my body had adapted and as such, my body would not change unless my intensity did. Enter Venus Index!!! James had been using the Adonis Index workouts and highly recommended I try out the women’s version, named Venus Index aka VI. The variety in the workouts and the level of intensity was incredible. 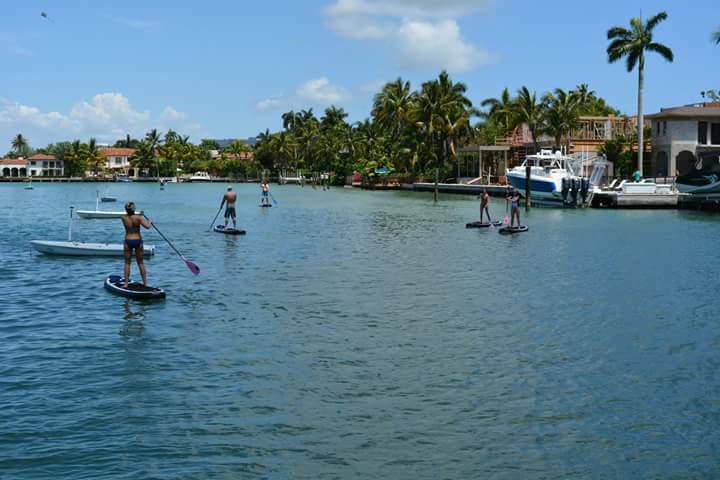 Having the very user friendly and detailed Venus workout program, was like having a GPS to get from one destination to another, without having to worry about getting lost or taking unnecessary detours. I found myself feeling very empowered when going to the gym, versus the feeling of intimidation that I used to experience. Now I can confidently walk in to the free weight section of the gym and feel like I belong there! I followed the VI workout exactly as it is presented. Not knowing a lot about nutrition, I leaned on James for his experience, but have paid close attention and understand much more than I ever have. To make it easier as a couple, we both followed the same nutrition regimen with the only variation being our caloric intake. We both utilized the “Anything Goes Diet” by John Barban and fasting via “Eat Stop Eat” by Brad Pilon. 1. Monday thru Thursday, I followed the 16/8 fasting model, only eating 8 hours out of each day. 2. From Thursday at 7:00 PM to Friday at 7:00 PM I fasted for 24 hrs. 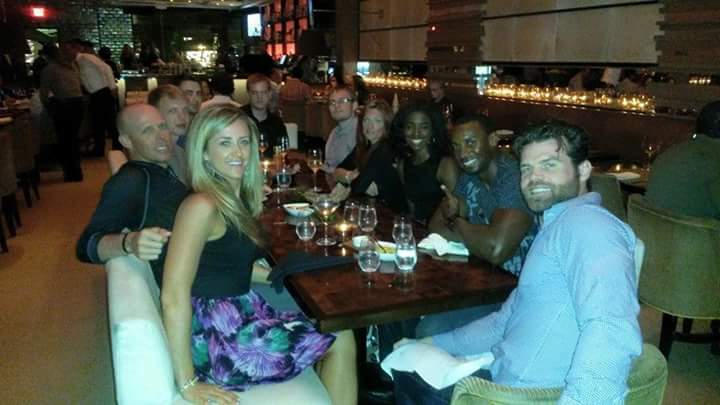 eating dinner after working out Friday evening. 3. Saturday was Cheat Day, normally averaging 3000 calories, but a few of those days exceeded 4000 calories. Let me tell you that I am addicted to Gluten free Chicken Pesto Pizza followed by a slice of carrot cake? What an amazing feeling knowing that I can eat those weekly, with confidence that I will not get fat. 4. Sunday morning after breakfast at 7:00 AM, I fasted again for 24 hrs., starting the process all over Monday morning. Supplementation wise: I use Muscle Milk “naturals” protein powder as a meal replacement when I’m at work, as my job does not always afford me the luxury of stopping to eat, BioTRUST “LeptiBurn” & “Pro-X10” and a generic Creatine – 5 grams two times/day. James used a pre-workout supplement (Extreme Rush) from Blue Star Nutraceuticals that he loved, but I did not because of my pacemaker and not knowing the effect it might have. I purchased the Venus Index workout just as the 8th Venus Transformation contest aka VT8 was getting ready to start. Since James was entering the Adonis contest, I decided to take the plunge and go for it too! What a blast this experience has been. From the amazing workouts, to learning about fasting, practicing posing and actually seeing muscles, shopping for and buying a Fitness posing suit, to actually posing for a professional photographer for my final pictures. The Venus Lifestyle has given me the knowledge and confidence that I am now looking to compete in either the “physique” or “bikini” class at one of the local bodybuilding shows. I am forever grateful and appreciative of everyone involved in the creation of the Venus & Adonis Index Lifestyles. Lourdes and James; The Venus and Adonis power couple!